Being quality obsessed organization, we offer a wide array of Packing Industrial Roller Conveyors, which are made quality raw materials. 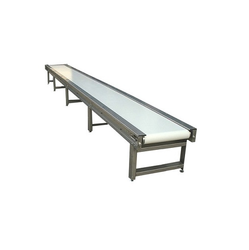 Our conveyors are technically assorted by utilizing quality raw materials and finest components. Client can avail at market leading prices.